Here's some old Hollywood consolation for the lovelorn this Valentine's Day. We're sharing six reasons why Walter Neff (Fred MacMurray) is old Hollywood's No. 1 loser at love. If your Valentine's Day was filled with hearts and flowers, we're happy for you. Check out our love songs features or our story about one of cinema's most epic romances. 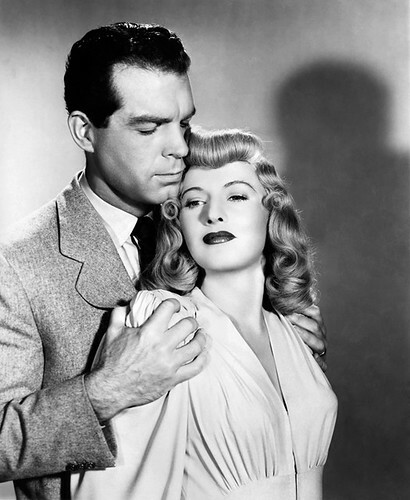 This article is (tongue-in-cheek) consolation for the lovelorn, featuring Walter Neff (Fred MacMurray) the main character in Billy Wilder's film noir Double Indemnity (1944). No matter how many times somebody sorta stomped on your aorta, you can comfort yourself with the knowledge that you've never crashed and burned quite as spectacularly as poor, stupid Walter. So without further adieu, here's the list of reasons Walter Neff is old Hollywood's No. 1 loser at love. 1. 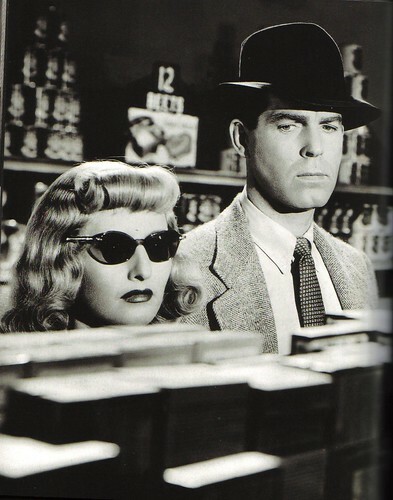 He met Mrs. Phyllis Dietrichson (Barbara Stanwyck). Walter was putty in this wily femme fatale's hands from the moment she plied him with a cool glass of iced tea and showed him her "honey of anklet." 2. He planned a murder in the baby food aisle of the grocery store. 3. He threw himself from a moving train for a dame. 4. 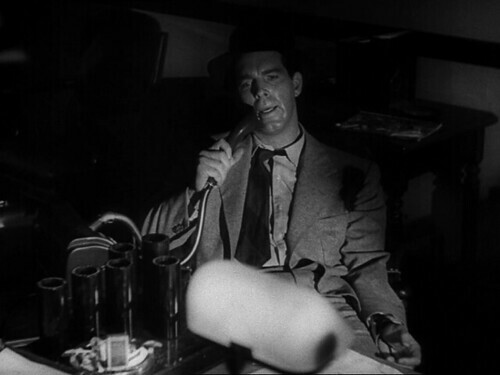 He told a passel of lying lies to his best buddy (Edward G. Robinson) in the whole world. 5. Let's face it, a blazing gun battle with your best dame is always bad news. 6. He narrated the sad and sordid tale of his twisted love story into a dictaphone. So congratulations, Walter! You may be "all washed up," but you are forever and always old Hollywood's No 1 loser at love.